The aim of EnergyWater is to provide assessment to SMEs and big companies about cost saving improvement actions for those fields with highest saving potentials or working below their optimum conditions. A major feature of the current phase of the project is The Energy Angels Network. The Energy Angels Network functions as one of the cornerstones of the EnergyWater project in order to strengthen the development of the energy saving market in Europe. The network is an online platform targeted at fostering contacts and business between energy professionals and industrial companies in Europe. Its main objective is to overcome barriers that prevent companies from implementing energy efficiency projects. 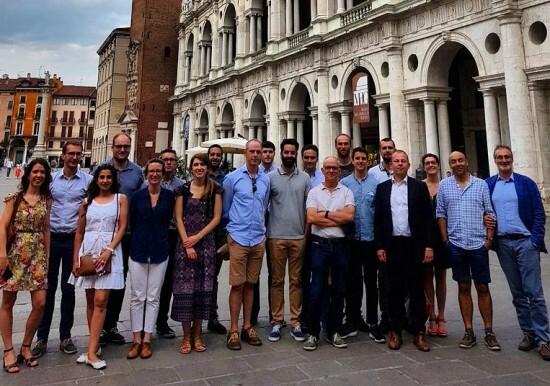 The Energy Angels network gathers European professionals with expertise and know-how in fields related to energy efficiency and industrial water processes. The network is available on the EMSA web-tool and any industrial company can search and select an Energy Angel on the basis of the information available on her/his profile (location, spoken language, experience as an energy angel). To become an Irish member of the The Energy Angels Network, to enquire about training, or for further information contact Safaa Al Tameemi or Colman McCarthy.